David Satcher is the founding director and senior advisor of the Satcher Health Leadership Institute at the Morehouse School of Medicine. He served as the sixteenth surgeon general of the United States from 1998 to 2002, and as assistant secretary for health from 1998 to January 2001, the second person in history to serve in both capacities simultaneously. During his tenure, he released major reports on overweight and obesity, mental health, suicide prevention, oral health, smoking, and youth violence. He also championed efforts to eliminate racial and ethnic disparities in health. 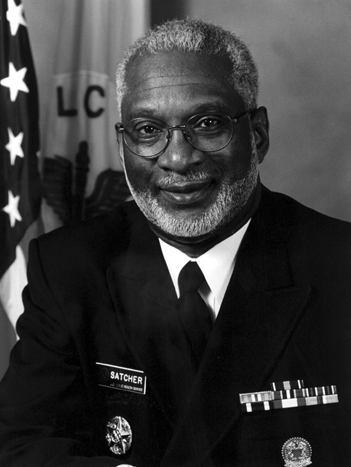 From 1993 to 1998, Dr. Satcher was director of the Centers for Disease Control and Prevention, and administrator for the Toxic Substances and Disease Registry. From 1982 to 1993, he was president of Meharry Medical College in Nashville. Dr. Satcher is the recipient of distinguished awards from the Morehouse School of Medicine, Indiana University, Tuskegee University, and the University of California, Berkeley. The American Public Health Association honored him with the Sedgwick Memorial Medal for Distinguished Service in Public Health, and 100 Black Men of America, Inc., recognized his contributions with the Chairman’s Award for Leadership in Health and Wellness. He is a graduate of Morehouse College and received his M.D. and Ph.D. from Case Western Reserve University.